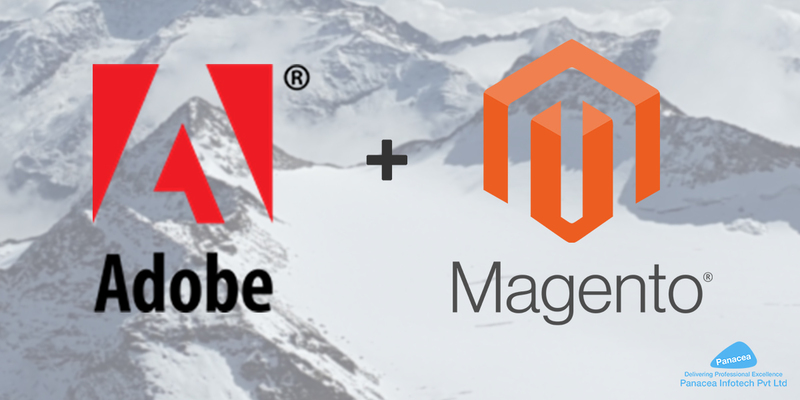 Adobe has announced that it has entered a final agreement to acquire Magento Commerce, a market-leading commerce platform, Adobe has sought to diversify from the digital media products that made it one of the world’s largest software companies. The deal is slightly smaller than Adobe’s 2009 purchase of Omniture, which made the company a player in digital advertising. The Magento purchase would see the company battle cloud-based commerce services Salesforce, Oracle and SAP. This part of Adobe’s business, known as its Experience Cloud, generates less revenue and grows more slowly than its creative software offerings like Photoshop. Adobe has agreed to buy e-commerce company Magento for $1.68 billion, in a bid to capture a bigger slice of the digital-commerce industry from Salesforce and Oracle. Adobe also announced an $8 billion share buyback program through fiscal year 2021. The program is expected to be funded from its future cash flow from operations and won’t have a material impact on the company’s earnings this fiscal year. It expands on the company’s current $2.5 billion repurchase plan scheduled through fiscal year 2019, Adobe said in a statement. The company’s shares rose about 1 percent in extended trading after closing at $238.10 in New York. The deal for Magento is expected to close in the third quarter of Adobe’s fiscal year, pending regulatory approval. Adobe will gain access to Magento’s mid-market and large corporate customers, and gain a foothold in a physical store and online transactions. Magento Commerce is a leading provider of cloud commerce innovation to merchants and brands across B2C and B2B industries. In addition to its flagship digital commerce platform, Magento Commerce boasts a strong portfolio of cloud-based omnichannel solutions that empower merchants to successfully integrate digital and physical shopping experiences. Magento Commerce is the number one provider to the Internet Retailer Top 1000, the B2B 300 and the Top 500 Guides for Europe and Latin America. Magento Commerce is supported by a vast global network of solution and technology partners, a highly active global developer community and the largest eCommerce marketplace for extensions available for download on the Magento Marketplace. On the other hand, Adobe Acrobat, a program that was developed by Adobe systems to create, view, and modify PDFs, is the king in the PDF creation. The PDF format is widely used all over the world, mainly because of its powerful features and because the format cannot be modified. Creating documents through Adobe Acrobat is also quite easy. The Adobe InDesign Exchange has a surprising amount of free software enhancements for Adobe InDesign that considerably enhance the basic product. These are easily found either by visiting the Adobe Exchange online, or by installing a free panel upgrade to InDesign that lets you search the exchange from within the program itself. With Adobe Acrobat, one can create high-quality documents along with sharing as well as customizing them in the perfect sphere. The most current version of Adobe Acrobat has many great features and addresses security issues that were lacking in the earlier versions. An Acrobat PDF file can also be converted to Microsoft word file. The good thing with all these features is that they are free. All that you need is to know how to use them. An easier and efficient way through which you can know how to fully make use of PDF file is by enrolling in an Adobe training course. With an Adobe Acrobat training course, you will be able to properly make use of many Adobe features and therefore improve your documents quality. Panacea Infotech is a reputed company providing magento development services in USA. We have been reigning in the field of Magento e-commerce development for past few years and have acquired a glut of acclamations from every nook and corner. In addition to designing and programming e-commerce websites using Magento development services, We cater to the all-inclusive requirements of our clients, and share our best practices to fully reach their site’s potential. Whether it’s developing a brand new site or updating an existing one, we will act as a perfect consultant to strategize your functions on the website. Moreover, we also provide the best support for technical as well as creative content development, thereby helping you keep your site updated and ahead of the competition.